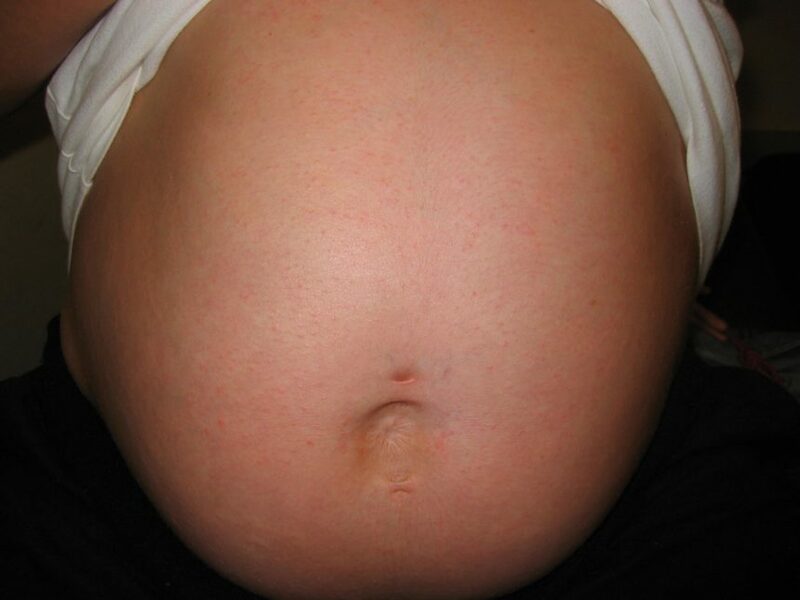 In Case 1, a 24-year-old man presents to his primary care physician with complaints of new-onset sore throat and fatigue. In Case 2, a 50-year-old man presents to an urgent care clinic complaining of a fast-developing pruritic rash after being stung by a wasp. 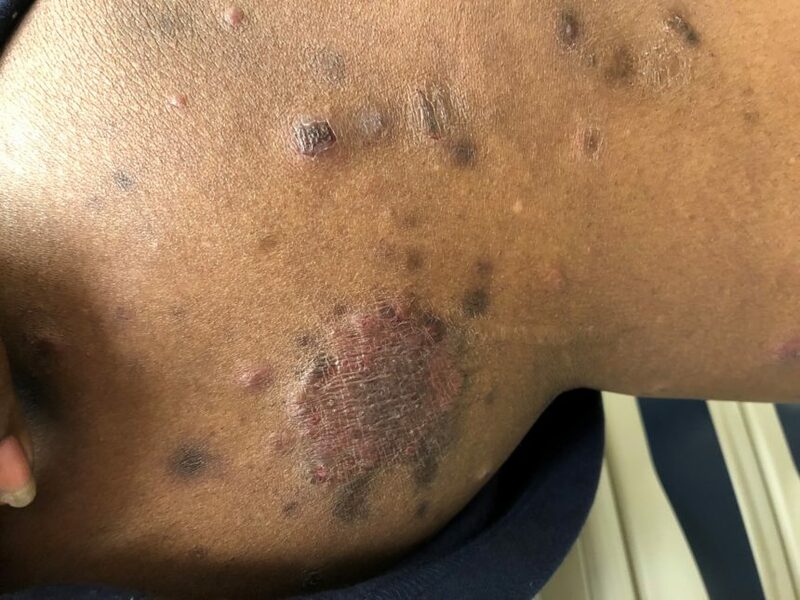 A patient presents with asymptomatic hyperpigmented plaques on the neck and upper trunk that have persisted for several weeks despite rigorous scrubbing with soap and water. 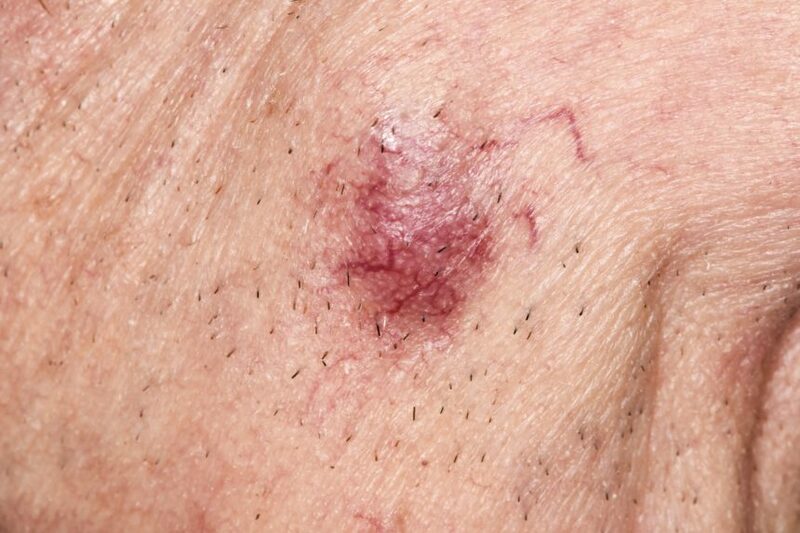 Investigators report a rare case of combined Merkel cell and squamous cell carcinoma confined almost exclusively to the epidermis. 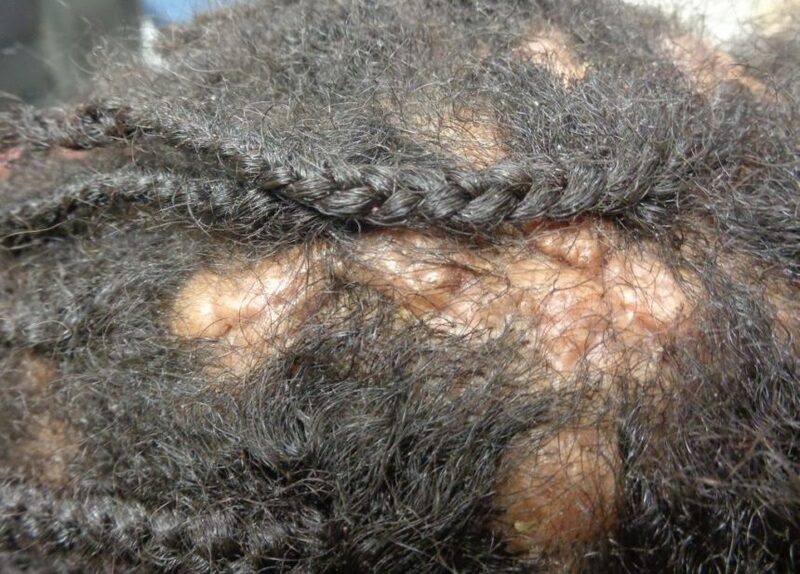 Derm Dx: Can You Diagnose This Patient’s Nasal Condition?